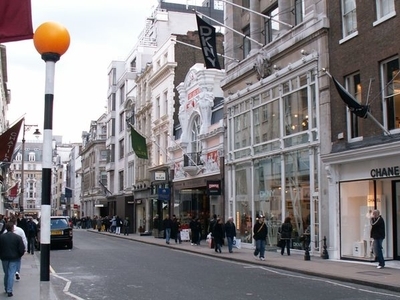 Bond Street is the only street that runs between Oxford Street and Piccadilly in the West End of London, United Kingdom (UK). The street, consisting of two sections, has been a fashionable shopping street since the 18th century and is the home of many fashion shops that sell expensive items. The southern section is known as Old Bond Street and the longer northern section is known as New Bond Street-this distinction, however, is not generally made in everyday usage. Bond Street is one of the most expensive strips of real estate in the World and, in 2010, it was Europe's most expensive retail location. 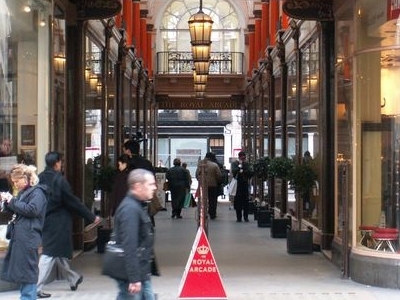 Here's the our members favorite photos of "Famous Streets near City of Westminster". Upload your photo of Bond Street!